When looking for a vintage military cap, one must make sure that the right balance between comfort, style and practicality is found. 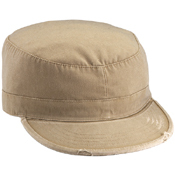 The Vintage Military Fatigue Cap from Ultra Force brings all these factors together. 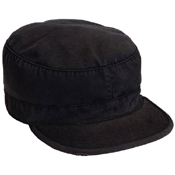 The Vintage Military Fatigue Cap is made from a blend of polyester and cotton blend which gives the cap just the right feel. 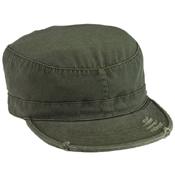 The cap features a unique worn out look which adds to the rugged and tough look. The red “Ultra Force” logo label is embroidered onto the cap. The cap also comes with a hang tag for convenience. This fine stitch across the cap only adds to the great looks of this cap.